40% Off Children's Vitamins. Limited time offer. Free Shipping on Orders Over $49. Limited time offer. 5% Off Your Orders When You Sign Up. Limited time offer. 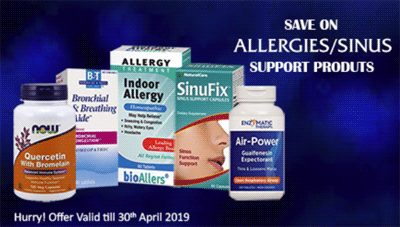 35% Off Allergies/Sinus Support. Limited time offer. 44% Off Brain / Memory Support. Limited time offer. 40% Off Women's Health items. Limited time offer. 30% Off Vitamins and Supplements. Limited time offer.